We reaffirm our unwavering solidarity with the Bolivarian Revolution of Venezuela. We strongly condemn imperialist aggression, economic war and political harassment against Bolivarian Venezuela. We demand respect for the sovereignty of the Venezuelan people’s homeland, who, since 1999, initiated a constituent process from the people that marked the path of anti-imperialist struggle for Latin American unity and for Our American socialism. We support President Nicolás Maduro, successor of the historic project promoted by Commander Chávez, while we demand the cessation of illegitimate and unilateral sanctions against the Bolivarian people. We reject the intent of military intervention in Venezuela under the pretext of humanitarian aid ; we demand non-interference in the upcoming elections of May 20 and respect for the sovereignty and self-determination of our peoples. The Citizen Revolution led by comrade Rafael Correa showed the world that progressive processes can make transformations that put the human being above capital ; showed that the redistribution of wealth, the defense of sovereignty and the respect and protection of human rights are fundamental to achieve the society of good living. 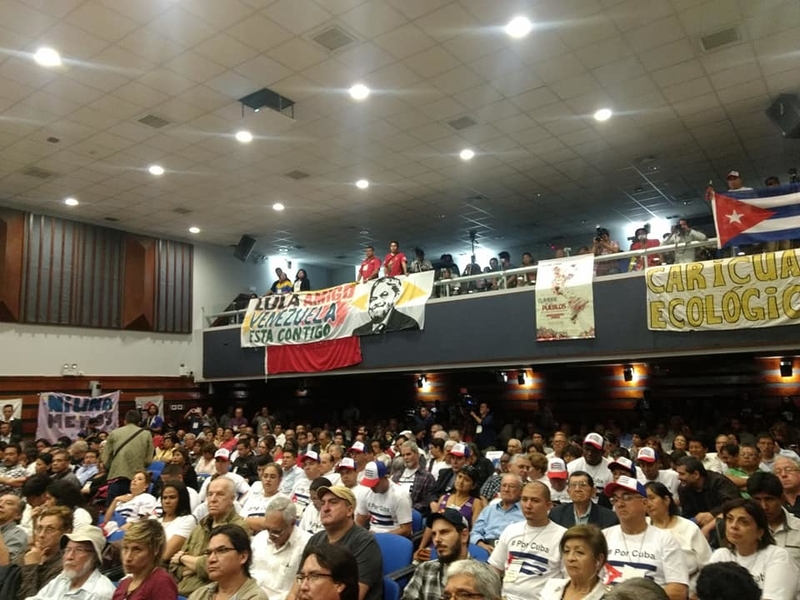 From the Summit of the Peoples, we expressed our concern about any regression in the achievements made in Ecuador and, above all, any restoration of neoliberal positions linked to the interference of the State Department of the United States. We greet and send a fraternal hug to comrade Oscar López Rivera, who has won his freedom with coherence and dignity. But with this victory the fight is not over, we will continue in the anticolonial battle for a Free Puerto Rico ! Long live the struggle of our people !